Contemporary style and design are combined in the Elegance flatware pattern to create pieces with aesthetic artistry. Elegance is a stylish pattern with a modern profile and mirrored gold finish. Constructed of 18/10 stainless steel with a gold plated coating, the Elegance Gold flatware pattern consists of the 5 standard table pieces. 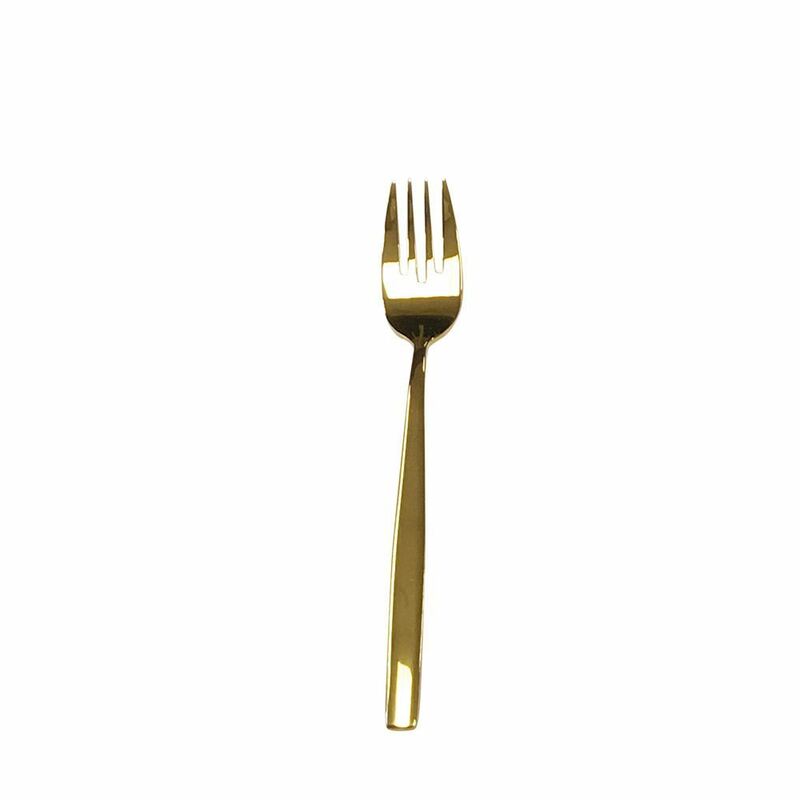 With its clean, modern design and attractive weight, Elegance Gold will add flair to any table. Each piece of Elegance flatware pattern is available by the dozen, meaning that you will be able to buy the pieces you need in the quantities that you desire. At National Event Supply, you don't need to buy tablespoons, and dessert/salad forks if all you need are teaspoons, table forks, and table knives.